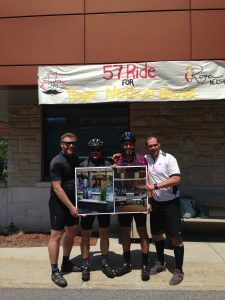 In June 2016, chief Phoebe Rose Rocker, Jonathan Hoffman rode his bike with the 57 ride from Toronto to Ottawa in support of the Roger Neilson House. The riders raised funds to renovate the outdoor space at Roger Neilson House. Roger Neilson House provides pallative care for children and support for families, including ours.